Check out the story of Pennuto and the catalog of works as well as the below sampler of music. For other topics written about on this site, including the Bible, current events, and famous composers and writers, please see the site map which will be updated as other items are added occasionally. This website and all its contents are © by Thomas L. Hubeart Jr.. All rights reserved. 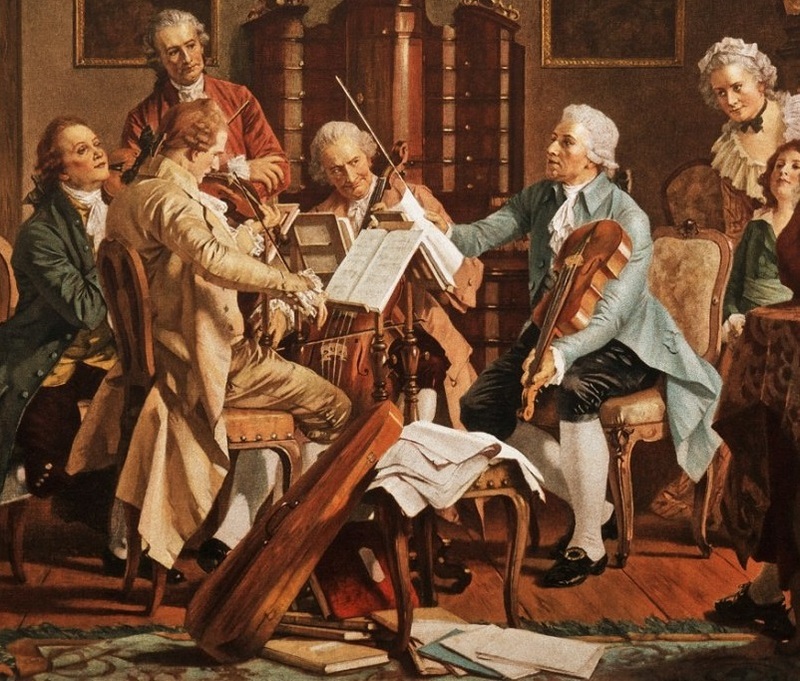 | Picture Credit: "Joseph Haydn Playing Quartets," public domain image from Wikimedia Commons.